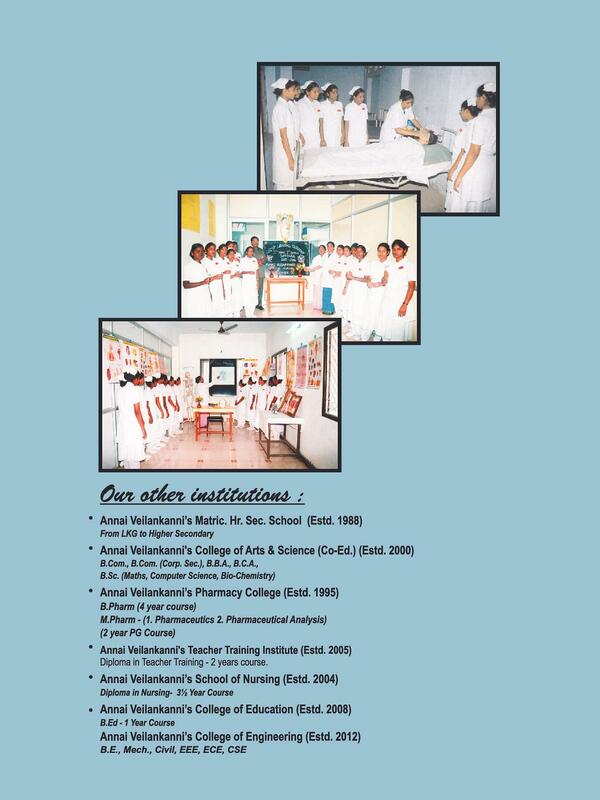 Annai Velankanni’s Educational and Cultural Society, which has been established in 1988 by Dr. S. Devaraj established Annai Velankanni Nursing College with the aim of providing professional education in nursing and thus to make the healthcare sector more professional. Apart from teaching the subjects, the college takes extra care in developing each student to a perfect person. Situated in a prime location in Chennai, the college is easily accessible by road and local trains. The college with its mission to create professionals avail the benefits of the latest technology to update the students in their concerned subjects. 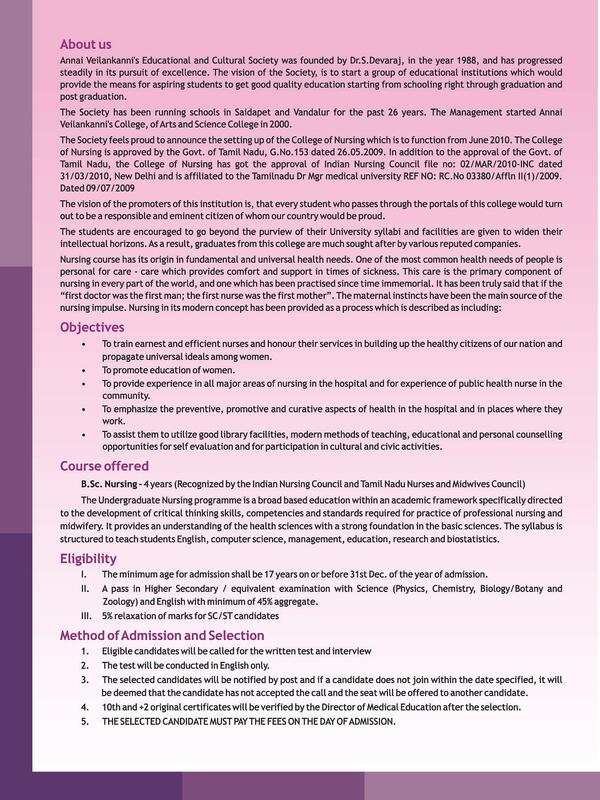 Why to Join in Annai Velankanni Nursing College? The college has tie-up with various well reputed hospitals in Chennai and the students are eligible for undergoing clinical training in these hospitals. Most of these hospitals are big hospitals with modern facilities and thus the students can be familiar with these modern equipments and systems. 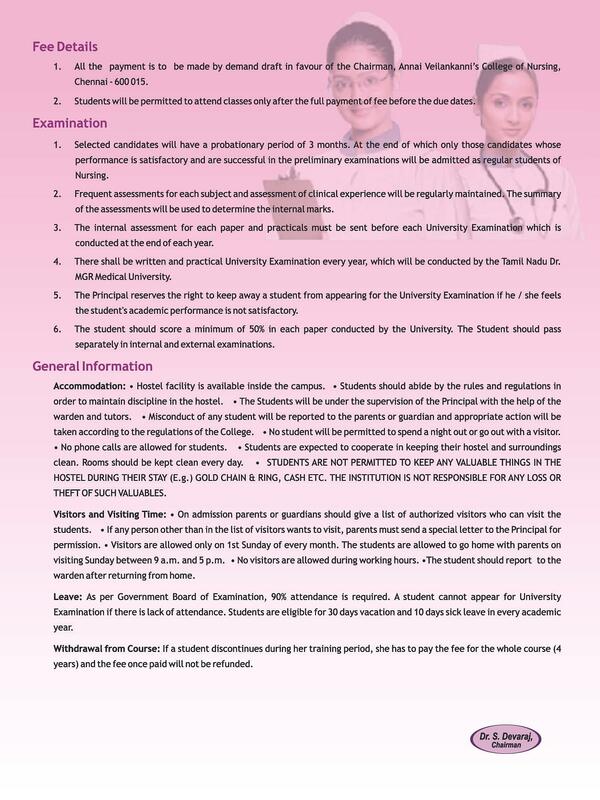 The college has a pool of expert teaching faculty and their method of study is not conventional. They make the students to interact with them more and thus make the studies more interesting and effective. There is an anti ragging cell in the college striving hard to eradicate this activity altogether and making students aware about its consequences.